Oakland Police: Former University Student Kills 7 Police in Oakland, Calif., say seven people at Oikos University are dead after a former student opened fire at the school Monday morning. Suspect One L. Goh, 43, is in custody. Oikos University is housed in a nondescript single-story industrial building in a business park near the Oakland International Airport. The university's website says it trains men and women "for Christian leadership, both lay and clerical." But it doesn't say how many students attend. It offers courses in nursing, music, biblical studies and Asian medicine. And now it's the site of one of the deadliest mass shootings in California in recent memory. An Oakland police officer walks outside Oikos University, the scene of Monday's shooting that left at least seven people dead. Police say former student One L. Goh, 43, a Korean national, was believed to be in a classroom when he opened fire with a handgun. Chief Howard Jordan says just a few minutes after someone made a 911 call in the midmorning, his first officer arrived and found a bloody, chaotic scene. "Approximately 35 persons are believed to have been in or near the building when this crime occurred," Jordan says. "Officers extracted a total of 13 persons from the building, some of whom were gravely wounded." Among the wounded was Dawinder Kaur. Her brother, Paul Singh, rushed to the school after receiving her frantic call. "My sister called me, running, saying, 'I've been shot,' " Singh says. "I live in Santa Clara, so I drove from there to here to help her." His sister survived the attack. Chief Jordan says when more police arrived, they established a perimeter, believing the shooter might still be trapped inside. But Goh had already escaped after commandeering the car of one of his victims. 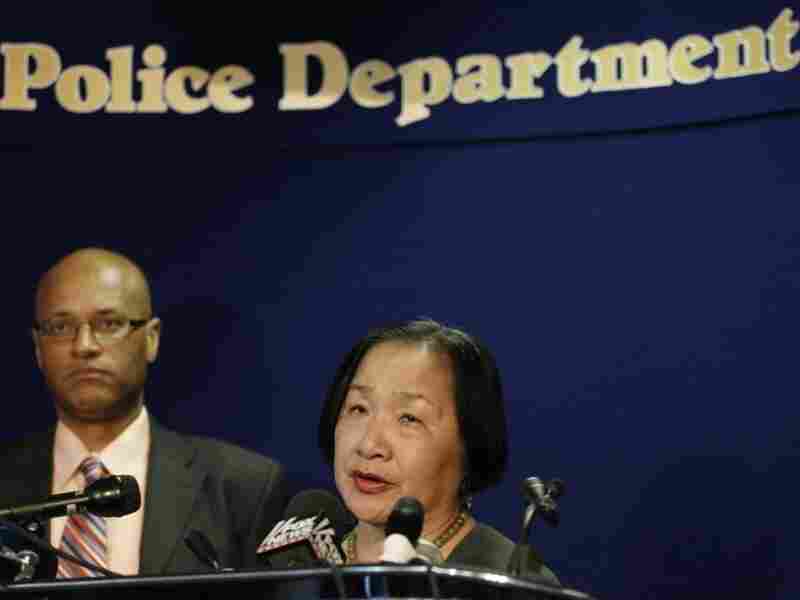 Oakland Mayor Jean Quan and Oakland Police Chief Howard Jordan address reporters after a gunman allegedly killed seven people at a California religious college. The suspect, identified as One Goh, is a 43-year-old Korean who has been living in the United States. Goh drove about 5 miles away to neighboring Alameda, where he reportedly entered a grocery store and told employees, "I just shot some people." That's when he was apprehended without incident. "We don't know how the sequence took place," Jordan says. "We know that when we got there, officers found several victims throughout the classroom, the building. There were several people hiding in locked buildings, locked doors, behind desks, as you can imagine, very frightened, very scared." 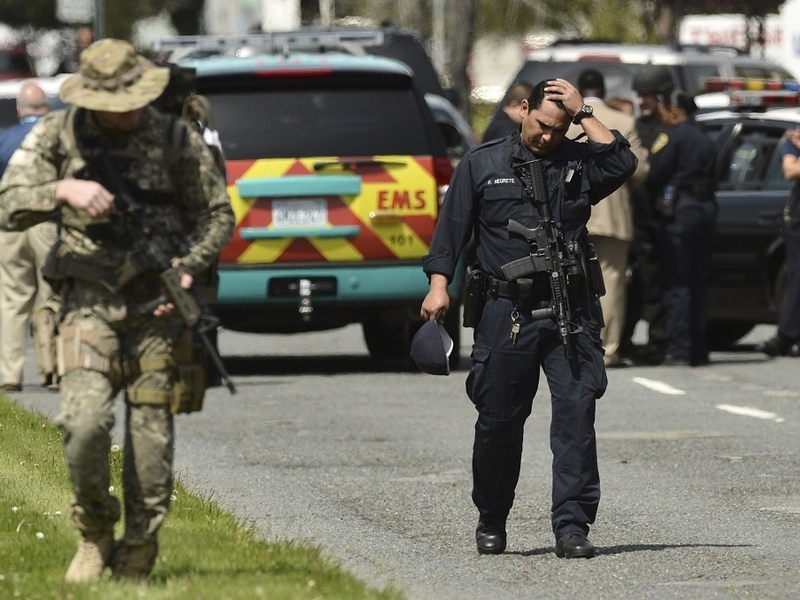 As of Monday evening, police had not yet interviewed the suspected shooter. 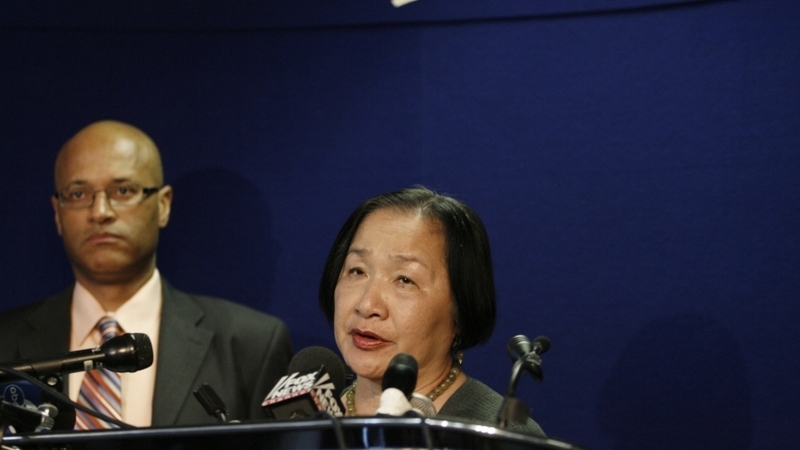 Oakland Mayor Jean Quan says it appears that most of the victims were Korean. "This is the kind of situation where we need to pull together and to support the Korean community in particular," Quan says. "I just hope that we will put our arms around this group of people and these families and do our best to bring peace back to the city." Quan says a memorial service for the victims is scheduled for Tuesday night.